Financial Plus Credit Union opened its seventh branch in Howell on Wednesday, July 1, 5990 E. Grand River Ave.
A formal grand opening celebration and ribbon cutting will take place 11 a.m. to 2 p.m. Oct. 15, and include refreshments, food, dessert, prizes, live entertainment and more. Financial Plus Credit Union is involved in the many communities it serves, and has already supported many local events in Livingston county, including the Michigan Balloon Festival, Midnight in the Tropics, and The Great Duck Race. 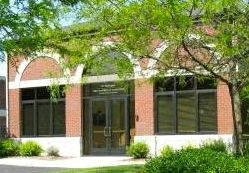 The branch is a full-service financial institution offering free checking and savings accounts, a wide variety of loans, mortgages, and much more.Commercial and mortgage loan appointments are available weekly during normal business hours, as well as weekend and evening appointments upon request. For more information about the Financial Plus Howell branch or the grand opening, contact Kristen Zielinski at 810.244.2507, or visit the Financial Plus website at www.financialplusfcu.org. Financial Plus Credit Union is a Flint-based, member-owned, not-for-profit financial institution serving over 49,000 members in 34 counties in Michigan. Financial Plus Credit Union operates through seven conveniently located offices in Flint, Swartz Creek, Fenton, Grand Blanc, Howell, Saginaw, and the rest of the Tri-City area, and can also be found on the internet at www.financialplusfcu.org or at 800.748.0451.